The FHI Paddle Brush make styling quick easy and is a useful tool for home users and professional salons. Manufactured from high quality materials, it has been designed by FHI heat, specifically to be lightweight and easy to use. These superb professional paddle brushes have a non-slip rubberised handle, it is ideal for all types of styling, as well as being heat resistant for use with styling tools. 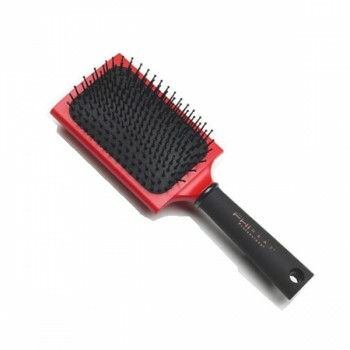 It is supplied in the instantly recognisable FHI colours of red and black and is a highly sought after brush, with a padded head incorporating very high quality plastic bristles. · Lightweight but high quality Paddle Brush. · Rubberised, non-slip handle for ease of use. · FHI quality produces unmatched results. · Padded head and plastic bristles with rounded tips.